IMG_0058.JPG, originally uploaded by anttia. This place allways reminds me of the movie "Birds". 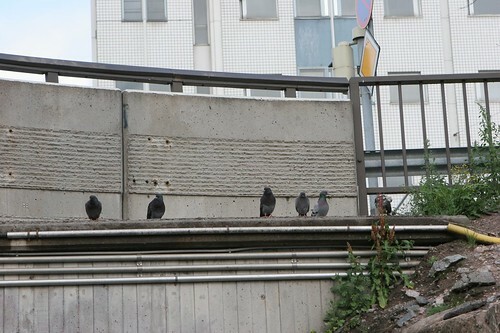 There is allways a large crowd of pigeons and such, and the place is all concrete and asphalt, so I do not know why they like it so much.